Home astrology creative dailythings entertainment fact fun Girls Guys Health & Wellness Health and Wellness hft horoscope Interesting knowledge love nature recent relationship slider HERE’S WHAT YOUR NUMBER SAYS ABOUT YOU! HERE’S WHAT YOUR NUMBER SAYS ABOUT YOU! How to calculate ‘your’ number? The numerological number is calculated on the basis of a person’s date of birth and his name. It is believed that each number from 0 to 9 vibrates differently and is responsible for a person’s success or failure. If a numerological reading of a person’s name suggests that it is gathering negative vibrations, then changing a letter or a vowel in the name is sometimes the solution. Does this remind you of these popular names – Ayushman(n) Khur(r)ana, Ajay Devg(a)n, Karis(h)ma Kapoor, Rite(i)sh Deshmukh and (H)rithik Roshan? Can numbers actually decide happiness of a person? All vibrations attract energies, both positive and negative. If a person attracts positive energies, the person will be happy and satisfied. And if it attracts negative vibrations, it leads to misfortune, disappointments and bad luck. In numerology, numbers have the tendency to change your luck and this makes this metaphysical science special. Do you have a Master Number? In Numerology, every number is significant, yet there are three numbers to pay extra-special attention to: 11, 22 and 33. These three Master numbers have profoundly powerful meanings, and when they appear in your chart, they can hint at difficulty. But Master numbers are often not well understood — they can be just as much of a curse as they can be a blessing. They give you insights into obstacles by calling upon your patience and maturity — and a lot of effort — to peacefully integrate these elements into your personality. Odd numbers are masculine and even numbers are feminine. Here, masculinity and femininity refer to the “traits” of masculine and feminine energy within us all. Masculine and feminine tendencies are visible in both sexes. Feminine: passive, receptive, yielding and warm. 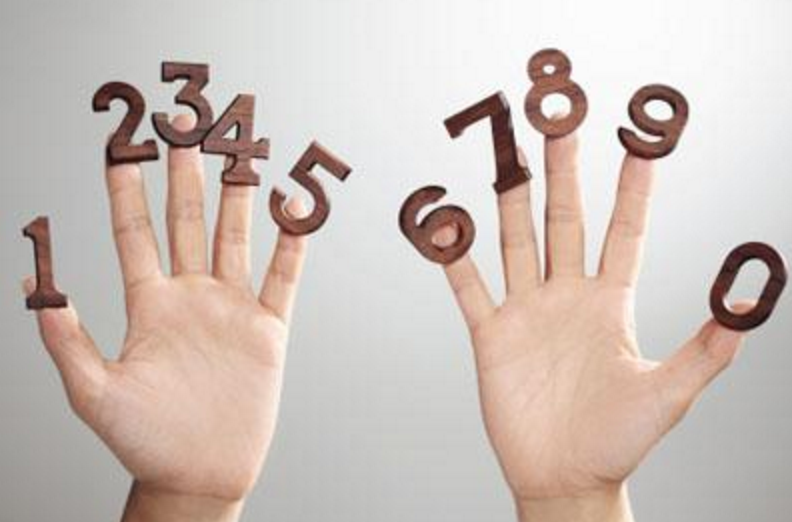 Find out what does your number say about your personality? You are strong and individualistic. You make great leaders and dynamic visionaries with courage and ambition. On the downside, you can be lonely, demanding and sometimes selfish. Two is associated with the Moon. You are prone to being emotional, very intuitive and fluid. You may also have trouble with emotions. You easily get overwhelmed by negative emotions and are frequently introverts too. Three is the number of planet Mars. You are dynamic and active. You are very expressive and bring that out through artistic skills like writing or verbal communications. You love adventure and challenges. You are outgoing, witty and charming, but also have a tendency to be self-centered, egocentric and aggressive. Four is ruled by Mercury. You are strong, steady, reliable, practical and logical. You can be stubborn and also prone to bickering and complaining when things are not as you like them. Five is ruled by Jupiter and is associated with adventure and motion. You are a freethinker; hate monotony and stagnation; love new endeavors, adventures and undertakings. You can be flamboyant and dramatic, but also fickle and unreliable at the same time. Six is the number associated with Venus. You are generally peaceful and act as a peacemaker most of the time. You are non-judgmental and caring. You are prone to being self-righteous, but also in vain sometimes. You can be clingy at times. Seven is associated with Saturn; mystery; magic; the esoteric and scholarly pursuits. With sevens, there are always deeper meanings or hidden information is trying to be revealed. You are an intellectual, intense, spiritual and wise; you can also be critical, cold and impatient. Eight is associated with Uranus, which is a sign of wealth, business, material goods and success. You are usually powerful and successful. Usually driven and capable, you can be power-hungry, workaholics or materialistic too. Nine is associated with Neptune. You are highly attuned, responsive, philosophical individuals in all areas. You can be prone to mood sings, feelings of isolation and self-pity when things aren’t working out.